Remember that study of video gamer habits Nielsen released earlier this week showing the Wii in third place and the Playstation 3 in seventh, last even after the GameCube and original Xbox? It was wrong. Fast Company reports that they've been told that the graph was mislabeled. 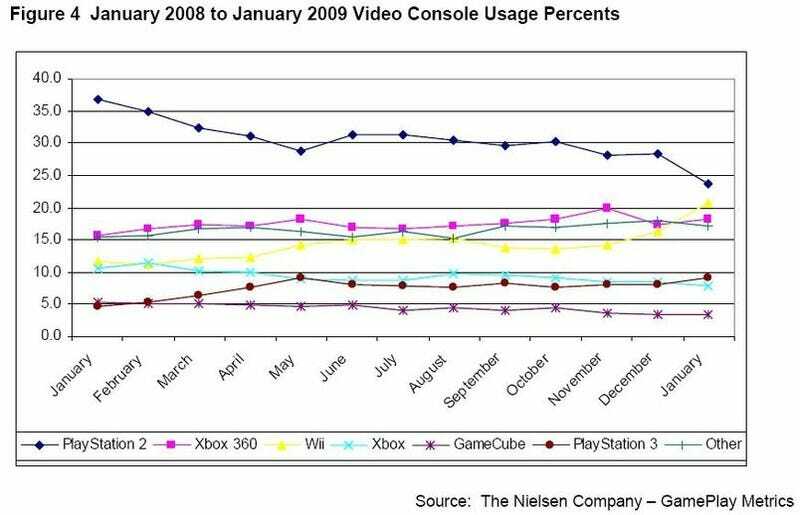 The real graph, which now appears in the official report and in the image above, shows that the Wii is in second place, after the PS2, for console usage and the PS3 is in fifth place, beating out the GameCube and original Xbox. Whoops. I hope there aren't any other mistakes in the oft-cited, typically trusted data. Reached for comment this morning, a Nielsen representative said the report does not contain any other errors.